A respected neighborhood back in the 19th century, Ealing stands out for its great mix of cultures. It is a residential area with a busy town Centre situated in Ealing Broadway, where most of its shops, pubs, restaurants and other amenities are located. Families tend to like this area due to the wide offer of state schools located here. The mixture of different cultures. 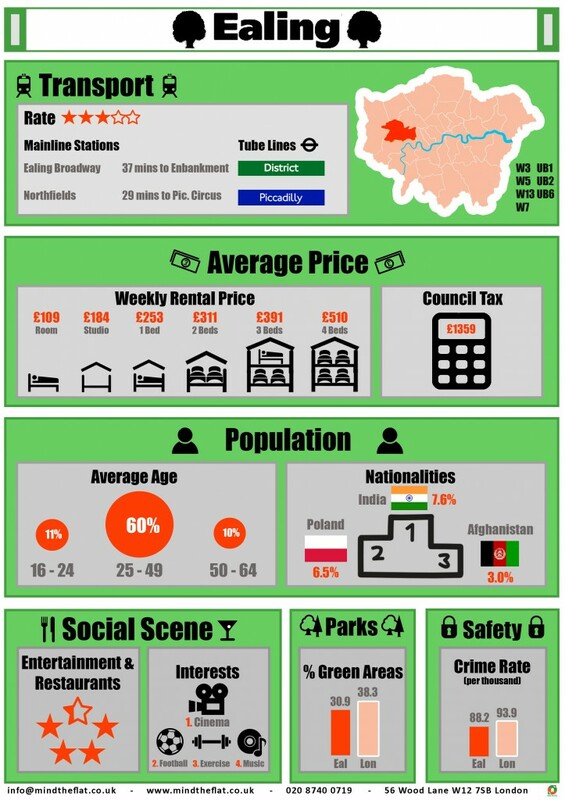 Transport-wise, the area is located in Zone 3 but it is served by the main lines of the London Tube through the stations of Ealing Broadway and Ealing Common, which makes it also an interesting spot for students and professionals. Sign up with Mind the Flat and find like-minded flatmates willing to share a property in this multi-cultural residential area!